It can be tough to decide which presentation software is right for your church, so I’ve put together a list of all the best options on the market today. You’ll see what each option costs, what it does best, and what platforms it’s designed to run on. There are even two completely free church presentation software options on the list. This guide should help you pick the presentation software that’s best-suited to meet your church’s needs. What sets MediaShout 6 apart? 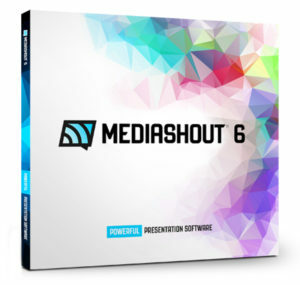 There’s a reason MediaShout 6 is at the top of my list; not only is it affordable, but there are a lot of positive factors that make it a good choice. Customer support. One of things that sets MediaShout apart most is its 7-day-a-week customer service. No other church presentation software offers such a high degree of support for its users. Free content included. A MediaShout license comes with more than 2,500 songs with ready-to-go lyrics, and 67 free Bibles. That’s a lot more starter content than other available options. Multi-screen functionality. While most other options either don’t support multi-screen functionality or require you to spend extra to get it, MediaShout 6 comes with it built in. Hardware options. The MediaShout team has collaborated with Dell to build a variety of hardware bundles designed with churches in mind. Built with PowerPoint in mind. Since a lot of churches “graduate” to church presentation software from PowerPoint, it’s great to have an interface that helps PowerPoint users along. MediaShout does just that: the interface is built to be especially easy to understand if you’re used to PowerPoint. What sets ProPresenter 6 apart? Modules. You can purchase additional hardware modules that give the software additional functionality. For example, you can buy a module that lets you present on multiple screens. Bibles. It doesn’t include quite as many as MediaShout 6, but with 46 free Bibles, you’re still getting a great number of options. Mobile apps. 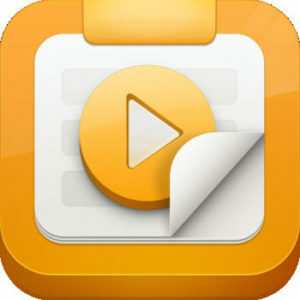 ProPresenter 6 has several mobile apps different team members can download. These come in handy for controlling the presentation on Sunday morning. Cloud-enabled. Proclaim allows teams to collaborate on presentations with their cloud feature. Mobile apps. 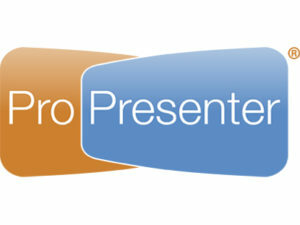 Like ProPresenter, Proclaim also features mobile apps that can be used to control presentations like a remote control. It also allows presenters to send updates to congregation members who use other Logos apps on their phones. Pastoral focus. 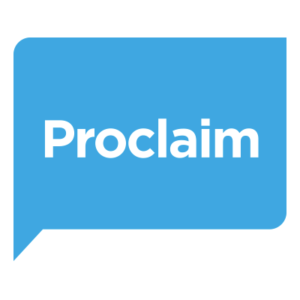 Proclaim was built to give pastors more control over building their presentations from their sermons. 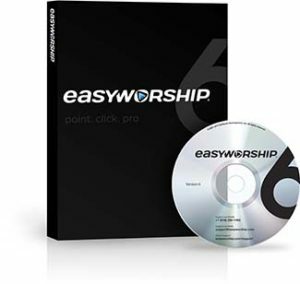 What sets EasyWorship 6 apart? Though EasyWorship is only available for Windows, that’s actually part of what makes it special. It’s specifically made for people who have been using PowerPoint. Similar layout. If you know how to use PowerPoint, you’ve got a leg up already in figuring out EasyWorship 6. Works with PowerPoint files. You can import your previously-created PowerPoint presentations into EasyWorship instead of starting from scratch. In addition to the PowerPoint integration, EasyWorship also integrates with QuickTime so you can play video content in your presentations. What sets MediaShout Bridge apart? 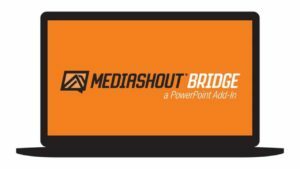 MediaShout Bridge is a simpler presentation software option for churches who are using PowerPoint and might not be ready to transition to a new software solution. Upgrades PowerPoint. This plugin works within an existing installation of PowerPoint, and turns it into a tool specifically for churches. Includes a Lyric library. 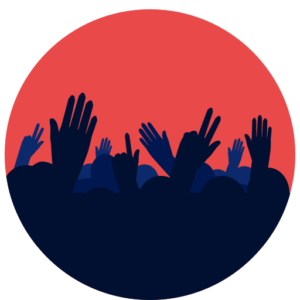 Bridge gives PowerPoint users a huge arsenal of public domain songs and hymns to use in their presentations. Includes Bibles. A lot of Bibles—67 versions, to be precise. Cost: Planning Center costs from $14 monthly to $99 monthly; the worship add-ons cost an additional $4 monthly up to $20 monthly. What sets Planning Center Projector apart? Planning Center Projector has pretty limited capability, but it’s quite inexpensive—especially if you’re already using Planning Center. You’ll need an iPhone or an iPad to build presentations. If your church is already set up with Planning Center (or is considering using it), you might want to give it a try. What sets ShareFaith Presenter apart? In some ways, ShareFaith Presenter is similar to MediaShout Bridge. It’s a plugin that works with PowerPoint to connect it with other ShareFaith tools. It’s quite limited on operating system, so make sure you have Windows 10 and Office 365 before pursuing this option. If your church uses ShareFaith, and you use the newest version PowerPoint, this is a good solution. Among the top options for church presentation software are two that are entirely free: OpenLP and OpenSong. Learn more about the differences between the two free options below. Gives you basic presentation functionality. You can create slides with text formatting, images, and various effects. Remote control. OpenLP even has a remote control feature, so you can navigate through the presentation from any networked device. Video. You can display and play video files in your presentations—which is pretty cool for an open source program! Friendly with PowerPoint. 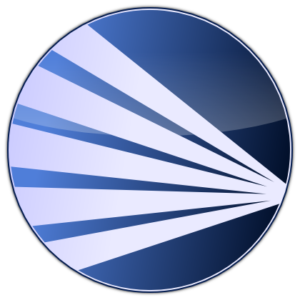 You can import PowerPoint presentations into OpenLP. If you’re not ready to spend money on a presentation tool designed for churches, you can at least start playing around with OpenLP. Chord chart manipulation. OpenSong lets you play around with chord charts. For example, you can automatically transpose chords to any key—a helpful tool for music teams. Timed slide loops. Teams can create sets of slides that loop at a predetermined pace. Since it’s free, there’s no harm in downloading a version to see if it can work for you. What’s your recommended presentation software? Has your church found a presentation software your team loves? Let me know in the comments! By the way, if you liked this post, you might also appreciate this directory of free motion backgrounds. Pingback: MediaShout vs. ProPresenter: which church presentation software? 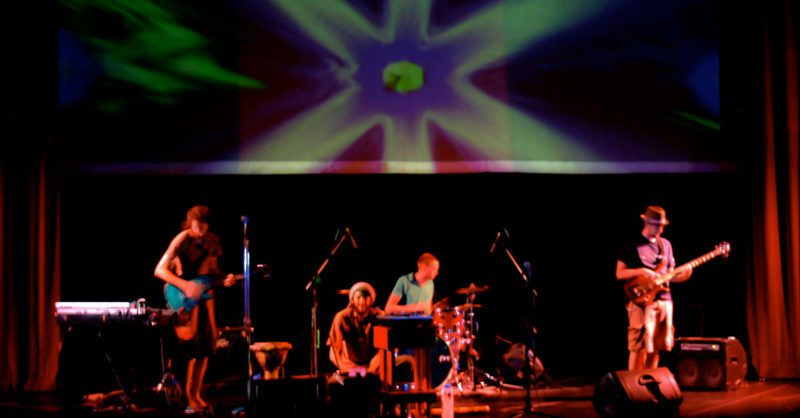 Hi Marc and Laura – I am testing out VideoPsalm at the moment. Generally I find it very good and very customizeable, and it is cloud based which is an important aspect. The one thing I have a problem with is keeping the background picture the same for all songs. I prefer a Linux environment, but my favorite free Windows-based lyric presenter is EasySlides. EasySlides offers dual-lingual lyrics, multimedia support, 3 monitor output, alerts, Bible verses, and more. Development is active with the latest (beta) release in 08/2017. Song Of Songs is easy to use, which can be used for churches of all sizes to control their service media presentations. Controlled via a single screen for fast on the fly changes during the service, Song Of Songs makes it simple to make on the fly changes for when the worship leader decides to change to a different song. This is quite helpful. My church may be ready to switch from proclaim and this gave me some ideas on where to look.